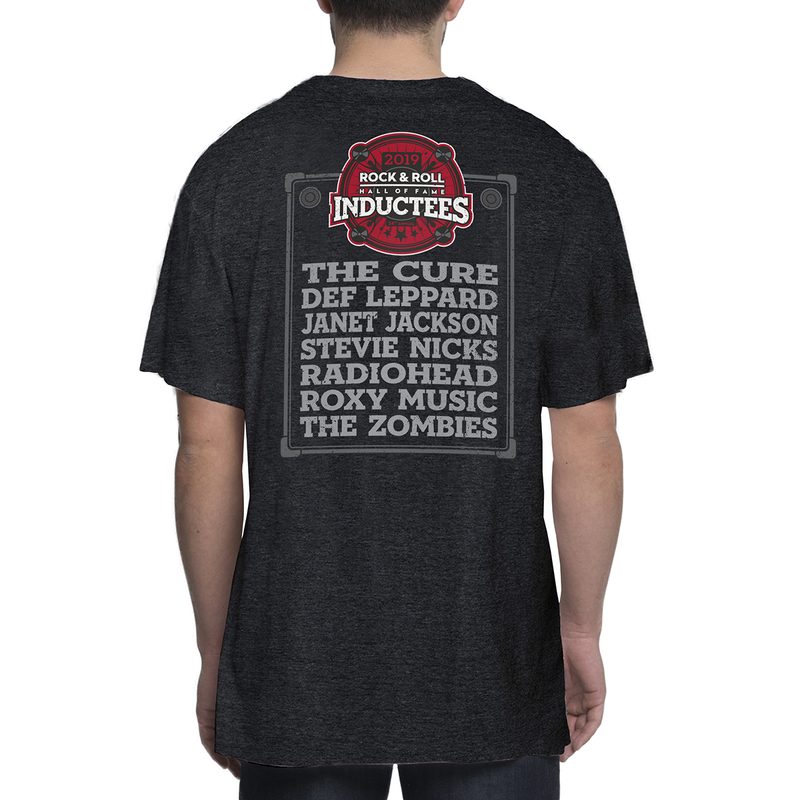 Celebrate the induction of the 2019 Rock and Roll Hall of Fame Inductee class! This t-shirt features the 2019 Inductees on the back and small Rock Hall museum logo on the front chest. 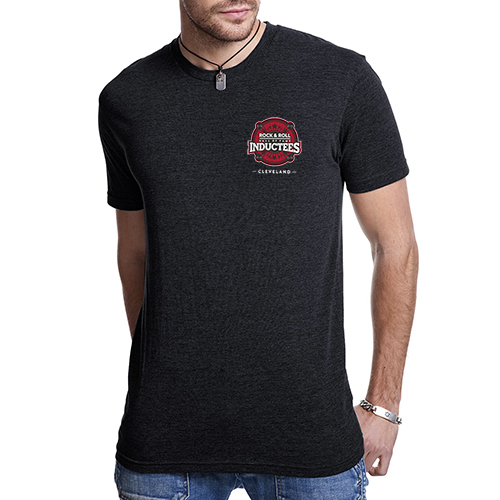 Available in heathered black. 100% cotton, slightly fitted unisex garment in sizes S - 3XLarge. Please note - this item is available for pre-order and will ship on or around February 8, 2019.